After the disastrous fire which destroyed the Energica Ego Corsa motorcycles and all of the charging equipment for the series at Jerez back in March, the MotoE class is on track to resume preparations for its inaugural season in 2019. Today, Dorna confirmed that testing will resume at Valencia in mid June. The MotoE riders will assemble at the Circuito Ricardo Tormo in Cheste, near Valencia, on 17th June, the day after the MotoGP race in Barcelona, for three days of testing ahead of the first race of the season at the Sachsenring three weeks later. 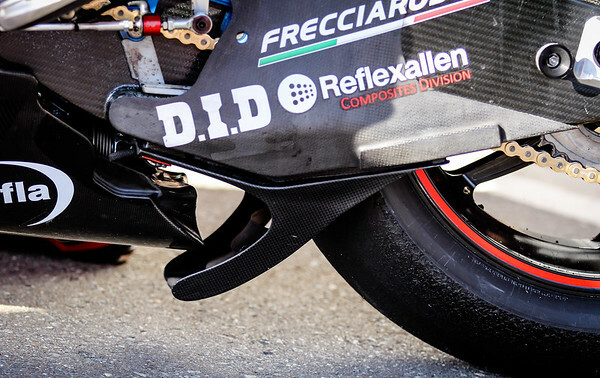 Testing will pick up where they left off at Jerez, with bikes and riders working on set up and further understanding the intricacies of racing an electric motorcycle. The announcement of a test at Valencia is a boost for the series. After fire destroyed all of the equipment for the series, there was serious concerns that Energica, a relatively small manufacturer, could build sufficient bikes to replace the machines damaged by the fire in time to run a series in 2019. Those fears have been allayed, for now at least. The MotoE championship will now consist of six races at four rounds, to be held at MotoGP rounds: single races at the Sachsenring and Red Bull Ring in Austria, then two double headers, at Misano and the season finale at Valencia. After a fire that sadly destroyed much of the material for the FIM Enel MotoE™ World Cup, the race was on to get the inaugural season back on track as soon as possible and incredibly, with the support of suppliers, Energica are expecting to have built all the machinery for the season in less than three months. Thanks to an incredible push from all those involved, MotoE™ is ready to race. Previously, a rescheduled calendar was announced and now the dates and venue for the preseason test can also be confirmed. The Circuit Ricardo Tormo is the host for the three-day event, which will take place from the 17th to 19th June. The same track at which MotoE™ will now celebrate their season finale with a double header alongside MotoGP™ at Valencia, it’s the perfect place for the grid to continue their preparation for the season ahead. Primarily, the test will pick up where Jerez left off, with riders and teams focused on gaining experience with the bike and setup. Sessions will start from the grid for everyone to get to grips with race starts and grid procedures. Subject to weather, the last day - 19th of June - will kick-off with an E-pole simulation as riders test out qualifying with just one single fast lap at a time. The day will finish with a full race simulation, where riders will get a chance to practice overtakes and race strategy, with Energica awarding the winner with their very own motorcycle Energica Eva – the streetfighter model available for sale. Simulating qualifying and a full race is useful not only for the riders and teams, but also for the organisation of the Cup in order to fine tune procedures ahead of MotoE™’s debut at the Sachsenring in July. For example, there will be a sighting lap ahead of the race but there is no need for a Warm Up lap on this parallel path of electric racing – so the three-day test will ensure everything is ready for lift off in Germany.